Henrik Fisker is has a long history design beautiful and fast cars. His greatest hits include the BMW Z8 roadster, the Aston Martin DB9, and the V8 Vantage. Most recently, Fisker’s beautiful, but troubled, Karma plug-in hybrid didn’t fare so well. The company went bankrupt and was acquired by a Chinese company. With the concept set to debut at this year’s Los Angeles Auto Show, official details for the Rocket are few and far between. However, based on the silhouette in the teaser and Galpin’s close relationship with Ford, it’s likely the Rocket will be based on the new Mustang. 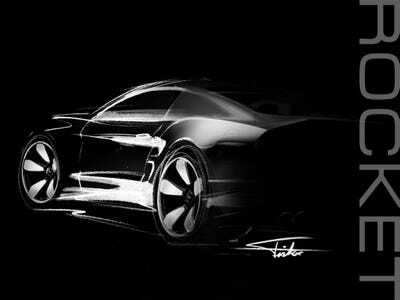 In addition to the Rocket, Fisker is reportedly working on a second vehicle for the L.A. show (set to kick off next week). Stay tuned for more details on both projects!